ESPN has named Disney executive James Pitaro as its new president. Pitaro had been the chairman of Disney consumer products and interactive media since 2016. 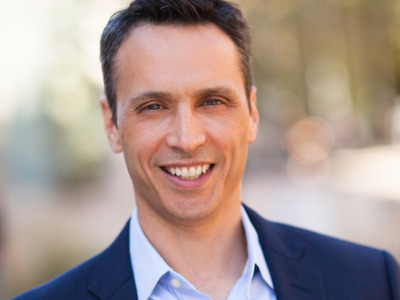 ESPN has named Disney executive James Pitaro as its new president, reporting directly to Disney CEO Bob Iger, the company announced Monday. Pitaro had been a leading candidate for the job since John Skipper left the position in December (citing substance abuse issues), according to The Hollywood Reporter. Pitaro has also reportedly been a longtime favourite of Iger’s, who previously wanted Pitaro to serve as Skipper’s No. 2 at ESPN, according to Recode. Pitaro has been the chairman of Disney consumer products and interactive media since 2016. He was formerly a vice president and head of Yahoo! Media. Pitaro joins ESPN, a top asset for Disney, at a time of turmoil for the sports media company. ESPN’s subscriber base has narrowed significantly due to cord-cutting in recent years, dropping from its peak at 100 million in 2010, to around 88 million in recent months. But ESPN – and Disney overall – is making big moves to adapt to the digital world, and Iger thinks Pitaro is the right person to lead ESPN there. “Jimmy forged his career at the intersection of technology, sports and media, and his vast experience and keen perspective will be invaluable in taking ESPN into the future,” Iger said in a statement. In a release, ESPN touted Pitaro’s hiring as coming at “a time of great opportunity” for the company, as ESPN is prepping the launch of its new direct-to-consumer subscription streaming service, ESPN+. With ESPN+, a $US4.99 a month service that will combine live events with ESPN’s library of programming, the company looks to regain footing among cord-cutting customers, while continuing to draw out more money from its subscribers, which it has exceeded at despite dwindling subscriber numbers. Disney is also planning to launch a direct-to-consumer Netflix competitor in 2019.